The rule changes would dramatically increase the barriers to lawful status for low-income immigrants and their families. It could dissuade parents from obtaining benefits for which their children qualify, out of fear that they may not be able to regularize their immigration status in the future. Lack of access to public benefits programs will increase poverty, hunger, homelessness, and disease, and decrease children’s school attendance and general well-being. This attempt to target the most vulnerable within the immigrant community violates the tenets of our faith and threatens the values of our nation. We are called by our faith to welcome the stranger and care for the most vulnerable and we are challenged by our national values to promote the welfare of our children and tend the common good. If we want our communities to thrive, all families in those communities mast have access to the care and services they need and to which they are entitled. The Trump administration’s proposed changes to the public charge regulation threaten us all. The Leadership Conference of Women Religious urges all people of faith to call for protection of immigrants, especially those who are most vulnerable, and to register their objections to this unreasonable and mean-spirited proposal during the 60-day comment period. 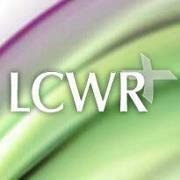 LCWR is an association of leaders of congregations of Catholic women religious in the United States. The conference has more than 1300 members, who represent more than 38,800 women religious in the United States. Founded in 1956, LCWR assists its members to collaboratively carry out their service of leadership to further the mission of the Gospel in today’s world.